TritonWear has developed an innovative way to accurately judge a swimmer's stroke, Stroke Index. The Stroke Index which determines how efficient the swimmer is in a given stroke. Stroke Index is the calculation of “Speed” times “Distance per stroke (DPS)” times “cycle multiplier”. The cycle multiplier converts the distance per stroke into distance per cycle, we will dig further into this shortly. For now, it’s important to understand a few things. First, a higher stroke index translates to a more efficient stroke. Swimmers typically aim to both move faster (Speed) and go further per stroke (DPS). When this is achieved, the athlete saves energy every lap which can then be used to stay consistent throughout a race, or reserve energy for a push to deliver a strong finish at the end. A more efficient stroke also means a potential speed increase. This is because less energy is needed to maintain the same speed. if energy output can be maintained, while accompanied by a more efficient stroke, times will definitely improve. The key to stroke index is measuring it against a stable split time. If an athlete can maintain split time, but increase stroke index, the stroke is considered more efficient. The actual resultant number is relative, and will differ drastically between athletes, depending on the swimming strategy at play. The number returned also varies significantly between strokes as well, as might be expected, given the difference in effort to produce speed from freestyle to breaststroke, as well as fly and back in between. To know what the best stroke index looks like, and what athletes can do to improve their own scores, we will look at the best in the world, to see what they do. TritonWear recently analyzed several races from the 2017 World Championships in Budapest, so we will refer to those races to see what the pro’s are doing. 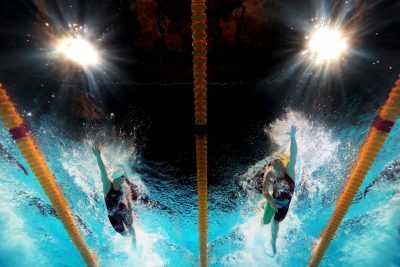 We will look at an example from each stroke, of a swimmer who won their event, to see what they do that sets them apart. 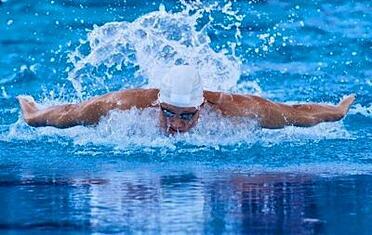 For the average swimmer, butterfly typically returns a result between 1.31 and 3.76, with the average value being 2.51. As a general rule, fly is a high intensity stroke to perform, the movements to produce the stroke requiring more effort to propel the body through the water than any other. As a result, the strategy for fly is typically a longer, stronger stroke. Finally, the cycle multiplier for fly is 1, because both arms move simultaneously. The pro race we will look at for fly is Caeleb Dressel’s 100 fly race from Budapest. He is starting to look like he may be the guy to take down the legendary Michael Phelps record in the 100 Fly from 2009 - during the super suit era. In Budapest Dressel put up the fastest textile suit time in the 100 Fly, putting the World Record is within his grasp. Looking at his metrics, his amazing stroke index plays a big role in how he will be able to get there. During the race, no other competitor was able to come close to producing the speed he generated. Lets calculate his stroke index for the first 50m of this race. His speed was 2.15 m/s, which we multiply by his DPS of 2.21m. We then multiply this by the cycle multiplier of 1, to produce a stroke index of 4.74. This is clearly outside of our typical results, as expected given he is a powerhouse; he is actually one of the most efficient fly swimmers we’ve ever analyzed. In backstroke, as in free, there is far less physical effort to execute a complete stroke cycle, so we see a slightly higher stroke index here. The bottom end tends to be slightly lower than both fly and free, at 1.17. The top end however is well above fly, and almost on par with freestyle at 4.70. The average value we see returned is 2.89, nestled nicely in the middle of the upper and lower limits. At the 2017 World Championships in Budapest, the longest standing world record was broken, this time actually outpacing the super suit era record set in Rome in 2009. The stroke efficiency needed by Kylie Masse to beat this record was considered out of reach, so it’s interesting to see how she did it. When we calculate her stroke index we start with her speed of 1.75 m/s, multiply it by her DPS at 1.09m. This times we use a cycle multiplier of 2, because we have to consider both arms of her cycle. The stroke index registering at 3.83 for her remarkable word record. She wasn’t quite as efficient as our top on observation, which means she will have required more energy to complete this race. This is a prime example of athlete specific swim strategy coming into play. She is clearly able to maintain a pace to break records with a less efficient stroke. As a result, she and her coach will look at her data and make a decision together, based on her unique swimming style and physical capabilities, regarding how to interpret her stroke index. As with any athlete, she will always be striving to improve her performance, but if her strategy is to swim shorter faster strokes, a lower stroke index will be considered a success for her. Breaststroke, as we all know, is the slowest most technical of all the strokes. Therefore we see a lower stroke index returned across the board. The typical results we see being 0.94 on the low end, 3.34 on the high end, and an average value of 2.15. Our cycle multiplier, again the same as fly, is one because the complete stroke is finished in a single fluid motion. For our pro this time, we will look at Lilly King - the champion of the Breaststroke events at Worlds. She smashed world records and took down her rivals; and we can attribute some of this success to a great stroke index. King is a unique swimmer, as her stroke rate is much higher than her competitors, but she is still able to put together an efficient stroke. To calculate her stroke index we start with her speed at 1.68 m/s, multiplied by her DPS of 1.66m. With the cycle multiplier of 1, her final stroke index is 2.79. Similarly to Masse, her and her coach have determined she is better off with a slightly lower stroke index, given the speed she produces with more strokes. Freestyle, as we know, is the fastest of all strokes, and as such returns the highest possible stroke index. The range varies from 1.22 on the low end and 4.87 on the high end, with an average of 3.06. When we think of the most efficient freestyle swimmers, Sun Yang is the first name to come to mind. This efficiency helped him win the 400 free at worlds. In his first 50 he pulled off a stroke index of 6, well above our typical values. To get this we first look at his DPS, which was 1.56, multiply this by his speed of 1.92m/s. Then we use the cycle multiplier for free, which is 2 to account for both arms, we get the incredible end result of a 6.00 stroke index. Clearly this man has incredible power, which allows him to be far more efficient in his stroke. We can see this through the stability in his times in each 50 of the race, and in the power he was able to exert at the end of the race to bring it home. So, now that we have know the ranges we should see, when and how to apply the cycle multiplier, and what the pros are doing to produce their wins, the question is how to determine where a specific swimmer should fall on the range, and how to improve stroke index results. When deciding on a swimming strategy for each stroke, the coach and athlete have many variables to consider. How good is the swimmer's endurance, how much physical strength do they have to pull from even in the best of conditions, how technically sound is their stroke. If the athlete is very technically sound, is of small stature, and has great endurance, chances are a lower Stroke Index is desirable. 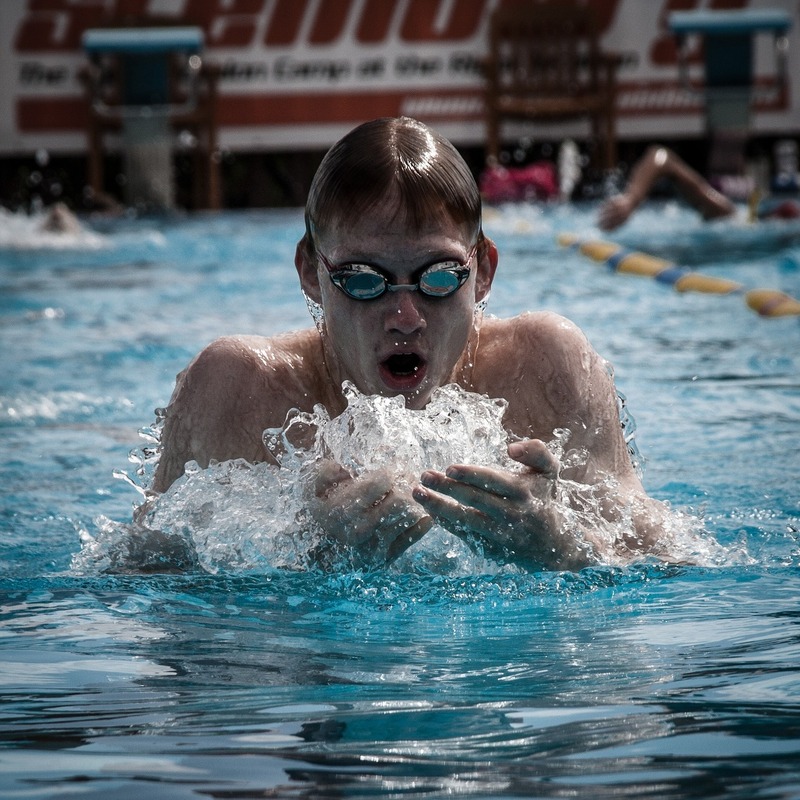 On the other hand, a larger physical build, coupled with lower endurance will lean more toward a higher stroke index, to carry the swimmer further with less physical exertion. This is a very personal decision, which needs to be tested over time. You did it, now what? Once the optimal stroke index for an athlete has been determined, the next step is to begin making improvements to attain that performance goal. The basic answer for achieving stroke index improvement is through increases in the DPS and Speed metrics, while maintaining split time. An important note would be to remember you cannot improve one metric at the expense of another. If you lengthen out your stroke and increase DPS you need to maintain your speed and stroke rate as well, or your overall split time will suffer. Coaches and swimmers should analyze their stroke index after every practice, focusing on how stroke index progressed throughout sets. It is important to correlate workouts with improvements made. Analyzing the data regularly may reveal a certain drill or set which helps the athlete progress speed or DPS to improve stroke index better than others. This drill or set can then be worked into the athlete’s workouts more regularly, to help them improve, and reach their outcomes goals faster.